The key to the produce department at Zagara’s Marketplace is freshness. 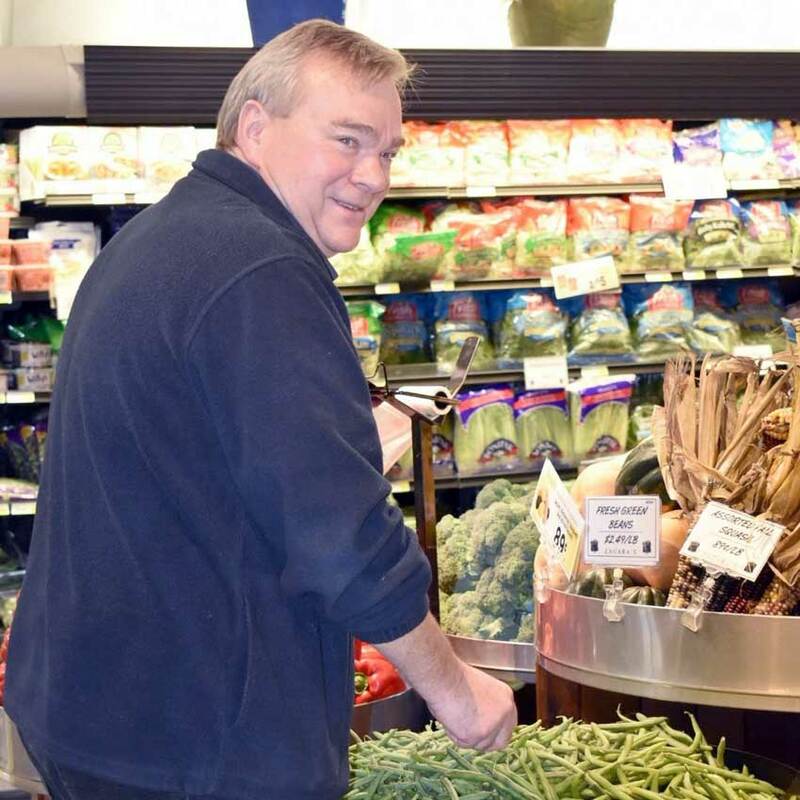 The many years of experience of our produce department team helps us to identify and purchase only the best produce available in the Cleveland area. 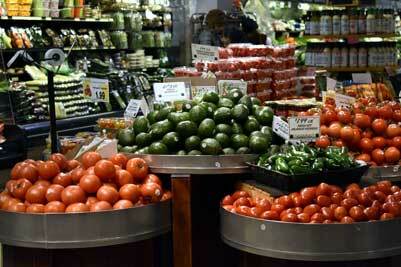 Our produce department stocks only the freshest fruits and vegetables. We pride ourselves on offering a wide variety of produce. 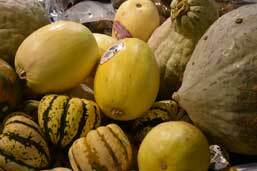 We seek out unique fruits and vegetables as they become seasonally available. We strive to provide locally sourced fruit and vegetables. 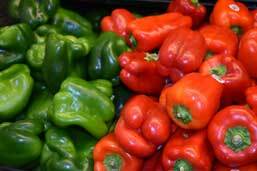 Sweet Corn, Fall Squash (Acorn, Butter Nut, & Spaghetti), Tomatoes, Peppers, Eggplant and more- you can find it here. 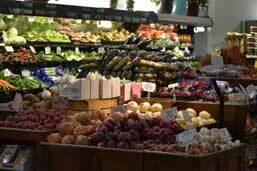 The Zagara’s produce department features a wide variety of the freshest fruits, vegetables, and produce items available. Choose from a wide variety of lettuce, spinach, and other greens for your salads. 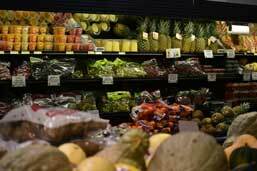 Apples, oranges, grapes, bananas, and many other fresh fruit choices are available daily. 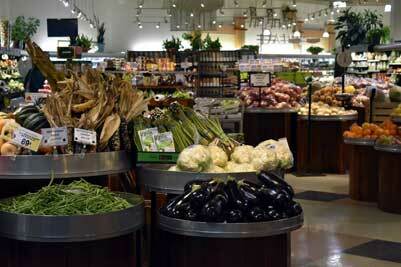 The largest and freshest selection of produce in the Cleveland Heights area. Choose from an assortment of seasonal produce as they become available. 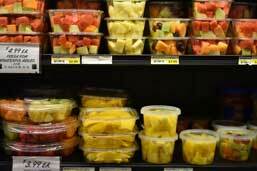 Choose from a selection of fresh fruit cleaned, sliced, and prepared daily. We strive to provide local produce from local farms as it is available. Our produce manager, George, starting working in the grocery business when he was just 15 years old. 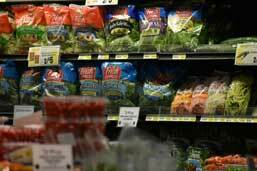 Following his service in the Marine Corps, he returned to the grocery business where he worked as a produce purchaser until becoming our produce manager. George likes to buy specialty and unique produce items like Star Fruit and Dragon Fruit to offer our customers and works very hard to ensure that Zagara’s Marketplace always provides the absolutely best produce.